It appears that the US is resolved to sticking with a competitive tender plan to cover future fuel supplies at the Manas Transit Center in Kyrgyzstan, despite a Kyrgyz provisional government preference to set up a joint venture involving a state-run entity and Russia's Gazprom. Officials in Bishkek portray the joint-venture option as having two big benefits – limiting the possibility for corrupt practices and bringing in extra revenue to Kyrgyz state coffers. Involving Gazprom, Kyrgyz officials contend, could generate an additional $60 million in income for the state. Speaking at a September 27 news conference in Bishkek, Muktar Djumaliyev, the deputy head of the Kyrgyz presidential administration, also touted the anti-corruption aspect of the plan. “The joint state-run venture would move us away from the corrupt schemes that existed previously and would create a new area of multilateral co-operation,” Djumaliyev said. A Kyrgyz provisional government panel is currently probing the fuel-supply activities of companies allegedly controlled by Maxim Bakiyev, the son of former president Kurmanbek Bakiyev, whose administration collapsed in April. The Manas transit center is a key logistics hub supporting US and NATO military operations in Afghanistan. The company currently supplying fuel to the transit center, Mina Corp, is at the center of a US congressional investigation into fuel-supply practices. Mina Corp representatives have denied any wrongdoing. For Kyrgyzstan, there appears to be a major incentive to get Gazprom involved in Manas fuel-supply operations. In April, just days before Bakiyev’s downfall, Russia imposed a punitive export duty on fuel shipped to Kyrgyzstan. Experts at the time saw a connection between the Russian action and allegations that Russian fuel shipments intended for Manas were improperly being re-exported to Afghanistan, action that potentially cost the Kremlin millions of dollars in lost tax revenue. Kyrgyz officials apparently believe that Gazprom’s participation in a joint venture could help convince Russian leaders to lift the onerous duties, Bishkek observers say. Gazprom involvement in fuel-supply operations could also have the potential benefit of diminishing Russian opposition to the US presence at Manas, some experts in Bishkek suggest. The US government has a “compelling interest” in having a US-based contractor in place but “this interest does not preclude subcontracting with non-US entities,” the statement added. 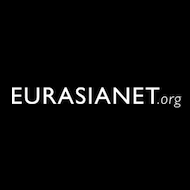 Mina Corp has been retained to supply fuel to Manas until at least the end of November, EurasiaNet.org has learned. In June, a payment of $20.3 million was authorized to Mina Corp for a “one month contract extension (Aug),” according to the US government’s Federal Procurement Data System.